With Google Docs, Does Microsoft Office Have A Future? As Microsoft prepares Office 2010 with online features, our thoughts turn to the obvious battle that is about to be raged between Google Docs and the king of the office suite software. Is there even really a fight here? If you are here reading TechnoBuffalo, then odds are that you are at least passingly familiar with Google Docs. On the off chance you haven’t used it, it is essentially a suite of document software solutions that you use online to create word processing documents, spreadsheets and presentations. It essentially does everything the omnipresent Microsoft Office does except it does it for free and online. Up until now, all of Microsoft Office has been offline, confined to the computer you installed the program on. 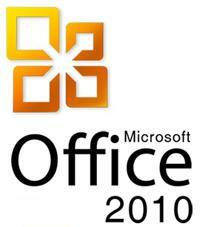 The upcoming Office 2010 is going to change all of this and you will be able to save and share documents online so that you can collaborate with co-workers, friends and family on the documents of your choice. Microsoft is going to have an uphill battle in the online office suite space from not just Google Docs, but also services like Zoho that are well established in the space. How can Microsoft possibly hope to catch up with these established and trusted brands? Even today, when you say you need to create a document, the first thing almost anyone thinks of is Word. For spreadsheets you’re going to think Excel. And who calls them “presentations”? We all know we call them “power points” no matter what program they were created in. People have wondered how Microsoft will do in this arena, but I think the better question is, “What will Google do to maintain its minor market share?” The majority of IT departments are going to stick with Office. People know and are comfortable with the Office name and brand; Google for all of its talk in the technology blogosphere is still not known by the more mainstream folks as more than a search engine. In short, Office will be hailed by most people as the creator of the concept of online document creation and sharing, no matter how incorrect that might be. Google, Zoho and others will have to capitalize on the fact that Microsoft is going to be educating a whole new user base of potential customers, and then they can all duke it out for market supremacy, but for now, Microsoft has nothing to worry about, it’s everybody else.